Spirit Lake is accepting application for executive chef. Ensuring the smooth operation of the kitchen, and all facets of the kitchen operations. Oversees the day-to-day operation of all kitchen operations areas. Developing and maintaining a unique menu that incorporates local culture, local food and produce. Ordering area specific food product. Maintaining order and rotation of food in main kitchen refrigerators and dry storage's. Ensuring prescribe level of hygiene in kitchen as per Territorial Standards. Monitoring kitchen equipment performance and reporting repair. As a Chef you will enjoy a competitive wage, and opportunity to work in scenic Yukon Territory. You will have the option to live in Staff housing. Your meals will be included in your salary. If you love the outdoors and love to share your passion for nature we are looking for you! 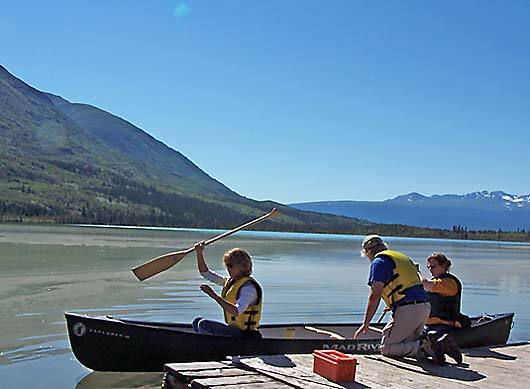 guiding hourly canoe trips on Spirit Lake. Full time position. Requirements: First Aid & CPR (Wilderness First Aid an preferred), Flat water canoeing certification.